Resolution 753 comes into play in June 2018 and one industry objective is to encourage the adoption of RFID which is believed to enhance baggage read rates and therefore reduce baggage mishandling rates (one of the main objectives of Resolution 753). 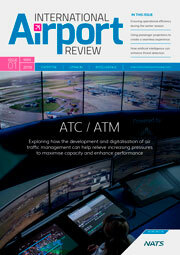 Can airlines be compliant, and airports facilitate airlines’ compliance with Resolution 753 without implementing RFID? What are some of the challenges encountered in the implementation of Resolution 753 by airlines and airports? This session aims to answer these questions and more.